This past Sunday, Atlas Shrugged: Who is John Galt? was ranked 20th in per theater average revenue. By Monday, Atlas had fought its way to #6. Don’t desert the battle. Help Atlas Shrugged climb to the top of the charts by going to the theater now... and win. Grab your friends and your family, head to the theater to see Atlas, take a picture of your ticket stubs and send them in. 15 or more tickets and you earn an official Galt’s Gulch coin. The group that buys the most tickets... wins big. Get the details and find a theater near you in Galt’s Gulch. If you couldn’t join us in Las Vegas for the ASP3 Premiere, or if you simply want to re-live the moment, check out the 275+ pictures now available. Get up close and personal with the film's stars, ASP3 Producers, and esteemed guests! View the Atlas Shrugged: Who is John Galt? World Premiere album now. Not us! 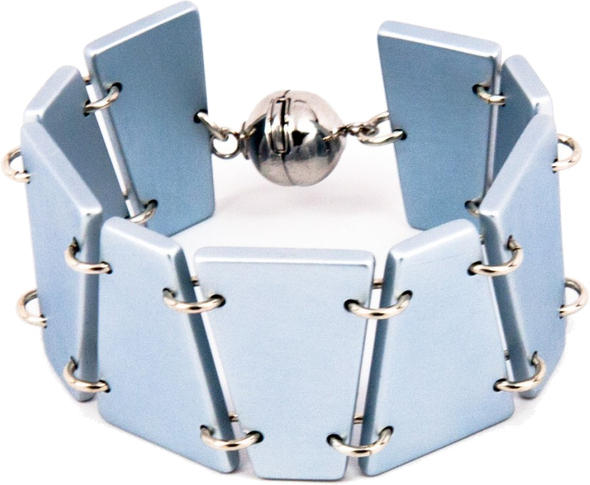 This take-your-breath-away bracelet is an exact replica of the one worn by Dagny Taggart in Atlas Shrugged parts 1, 2, and 3. Some theaters are opening Atlas Shrugged: Who is John Galt? this week, while others are bidding Atlas a fond farewell. Is your theater on the list?